Wellness is now offering products, books and tools available in our Phoenixville office or order online below. Shipping rates listed for continental US states only. Please contact us for International Shipping options. Wellness in Harmony is a an official distributor of Young Living Essential Oils. Stop by our Wayne PA office or order Young Living products online here. The 365 Inspirational Book series are compilations of over 200 authors, each sharing their stories, personal journeys, and wisdom to support and inspire you in creating a deeper connection with your Soul and the Grace that surrounds you in each moment. 365 Ways to Connect with Your Soul offers daily inspiration, meditations and practices to offer you a deeper connection with your soul and its wisdom. 365 Moments of Grace provides a compilation of personal stories of how Grace touched and transformed their lives. 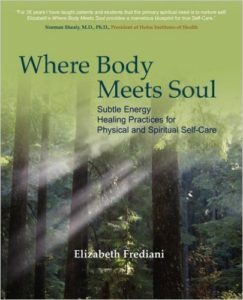 Elizabeth Frediani draws upon her 35-years of experience working with subtle energy practices to present this articulate, accessible manual on energy-based healing. Her well-crafted exercises address your ongoing need for physical, emotional, and spiritual self-care, yet lead you beyond simply problem solving symptoms. Using the energy system as the map of health and consciousness, she guides you to connect with your body’s energy to clear the underlying factors and the self-limiting attitudes and habits that compromise your well-being. Frediani’s understanding of the natural relationship between the subtle energy system and transcendent states of awareness is unparalleled. In a balanced and insightful way, she also teaches you how to awaken your consciousness and utilize your inner source of peace, compassion, and spiritual revitalization. From comprehensive theory to step-by-step instruction, this book advances our education in the true meaning of body-mind-soul medicine. Smudging is an ancient Native American ceremonial practice of burning plants to create sacred space. Smudging can clear negative energies from a space or person, and can invoke specific energies into a space to support your intentions (such as healing, spiritual connection, wisdom, and manifestation). 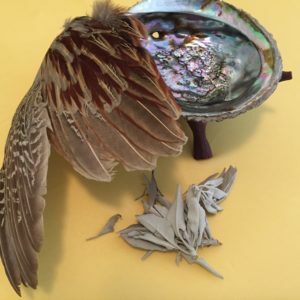 This kit ties in the power of the elements of nature into your ceremony: Abalone Shell (Water), Pheasant Wing (Air), Sage (Earth) – and you add Fire when you burn the sage. Includes 1 abalone shell, 1 wooden tripod, white sage, 1 Pheasant wing and instructions. 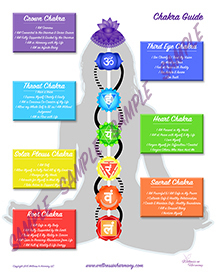 The Chakra Healing Guide is designed with powerful healing statements that support the health of each of your chakras. Included on the back of the poster is a recommended meditation practice to use along with the statements. The poster is printed on heavy card stock and laminated. It is a great tool for improving the health of your chakras, and also works well as a teaching tool for practitioners. If you’re not experiencing the relationship you crave, it’s not your fault. Most of us grew up without ideal relationship models to learn from, and you certainly weren’t taught these skills in school. This is your opportunity to change course and begin shifting the habits and patterns that have long stood between you and real love. Are you ready to end the struggle? Let’s begin.